When Terry McAuliffe defeated Ken Cuccinelli in the Virginia gubernatorial race Tuesday night, women were credited with handing him the victory. Pundits quickly declared that Cuccinelli’s extreme views on abortion—with the ultimate goal to “make abortion disappear in America”—were key to losing the female vote. A closer look at the numbers, however, reveals a different story. Cuccinelli lost among women voters, by a margin of 51 percent to 42 percent. But he won a majority of votes among white women—54 percent—while 91 percent of black women voted for McAuliffe. 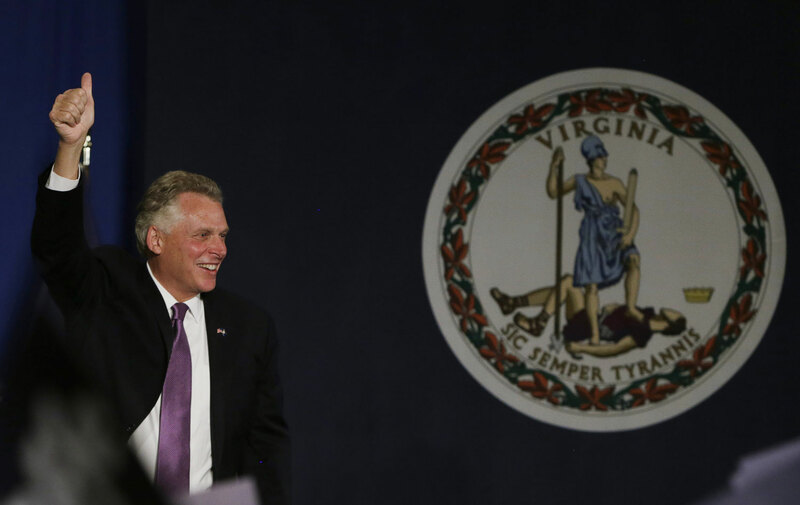 A strong majority of unmarried women broke for McAuliffe, 67 percent. These facts have been obscured by the widespread claim that the “gender gap” fueled McAuliffe’s victory—and that candidates’ stances on abortion and birth control are what swing the “women’s vote.” As the Virginia election results show, if it were up to white women, the anti-choice candidate would have prevailed. If any voting block determined the outcome of the race, it was black women. Republicans on all levels of government have been on a relentless legislative assault on women’s reproductive rights. It should come as no surprise that women of color are opposed to Republicans like Attorney General Cuccinelli, because he and his sidekick former Governor Bob McDonnell, made “transvaginal ultrasound” part of the everyday political lexicon. But women of color, single and low-income women are the most directly impacted by regressive Republican policies—and not just on reproductive rights. Cuccinelli’s expressed his support for a one of the strictest voter ID laws in the country immediately after President Obama won Virginia saying, President Obama can’t win a state where photo ID is required.” Cuccinelli was one of the first attorney generals to sue the Obama administration over the constitutionality of Obamacare. Black women are one of the groups that will benefit the most from healthcare reform. And while it’s true that extreme anti-choice views repel women voters, women of color, particularly black women, have long been reliable Democratic voters for a host of reasons. The ongoing fight for equal pay that has been blocked by congressional Republicans, the Republican war on voting rights and Obamacare are all factors that attract black women to Democratic candidates. Terry McAuliffe won black women in Virginia because of his stance on all of these issues, not simply because he supports choice. The Tea Party’s race baiting is another factor contributing to black women’s staunch support for Democrats. Republican Party leadership has never adequately condemned the racist birther movement. In 2010, when birtherism was all the rage, Cuccinelli even flirted the idea that it was not “outside the realm of possibility” that Barack Obama was secretly born in Kenya. No wonder black women didn’t support his candidacy. Compare McAuliffe’s win in Virginia to the election in New Jersey, where anti-choice Republican Governor Chris Christie won a large majority of the female vote—against a female candidate, Democratic State Senator Barbara Buono. Despite Christie’s anti-choice views, 57 percent of women backed the incumbent governor’s re-election. Christie was able to win 21 percent of the black vote overall, but he still lost 80 percent of black women. Christie was likely able to win a larger share of the black vote than most Republicans because he has seen aligning himself with President Obama in public, in the aftermath of Hurricane Sandy. Christie has never given the birther movement the time of day, and even criticized Mitt Romney for his birther joke, during his many television spots he did as a Romney campaign surrogate. The “gender gap” narrative that assumes women vote for Democratic candidates solely because of their stance on reproductive rights is misleading. The more complicated reality is that women of color make up the bulk of that gap, and it’s not hard to see why. Republican opposition to equal pay and their support of deep cuts to food stamps are not positions that attract black women voters. Abortion and birth control access are critical, but so are voting rights, jobs and education! Zerlina MaxwellZerlina Maxwell is a political analyst and contributing writer for Feministing.com, theGrio.com, BET.com, and RHRealitycheck.org, EBONY.com. She writes about national politics, candidates, and specific policy and culture issues including domestic violence, sexual assault, victim blaming and gender inequality.